A child plays with interest with fallen yellow leaves. hd00:12Mama takes care of a child playing with fallen yellow leaves of maple. hd00:22An interested little girl playing on the carpet of fallen yellow maple leaves. 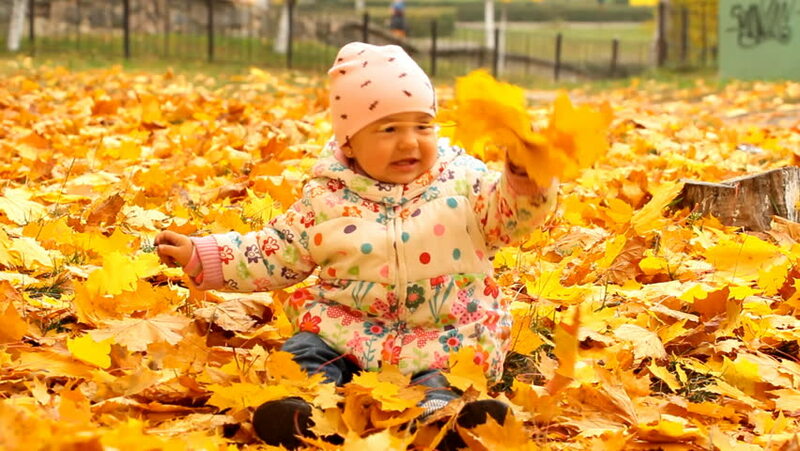 hd00:12Small child playing in autumn park.Baby playing with yellow leaves.Little girl outdoors in autumn park.Portrait of a baby in autumn park. hd00:14Mum walks with the child in a stroller through the autumn alley.